It's another warm welcome to our latest newsletter, most of you are now into social media in one way or another so remember to like our Facebook page and follow us on Twitter (@HartfordGolfC) for the very latest news and special offers from the club. We were very lucky last week to be one of the first golf shops in the country to learn about and trial the new Titleist 917 drivers and fairway woods that will be coming out at the end of October. Titleist really are at the cutting edge of club technology with the 917 range and we were shown the new design features which includes a new Active Recoil channel meaning that you get 90% of shot distance even with off centre strikes, there is now added adjustability with a SureFit CG chamber which is basically a carbon cartridge weighted to set the club up for a neutral, draw or fade bias. The sound has been dulled down slightly as this is what the Tour players had asked for, and trajectory is controlled through the SureFit hosel with 16 different settings in which loft and face angle can be adjusted. The drivers also come with an array of shafts that are the most used on Tour including new versions of the Diamana shafts and the new Aldila Rogue Max shaft. After learning all about the new clubs we couldn't wait to hit them and we were soon very impressed, Adam and Adrian were both hitting the driver over 300 yards and Adam even got one out there to 329 yards saying that he would definitely have one in his bag as soon as they were available! As a Titleist SureFit centre we are hoping to have trial 917 clubs for fittings in our studio towards the end of September and we can then start custom fitting golfers for what will be the hottest driver in golf, if you are interested in booking a club fitting please click here. What a day we had on Saturday! After a week of sunshine the rain returned with a vengeance for the September Medal, everyone that played deserves credit as the wet weather was pretty relentless. The poor conditions didn't seem to deter Captain Paul Underwood in any way as he fired a brilliant nett 64 including three birdies, Paul's birdie on the difficult last hole was particularly impressive and this meant he beat his son Kieran Underwood into second place. Kieran had four birdies in his round of nett 66 and it capped a good week after he was also presented with a prize for winning the Cheshire Union under 16's Order of Merit. Antony Green took third spot with a nett 69. With his Medal victory Paul also secured the final place in the field for the Hartford Masters on Saturday 17th September, here are the tee-times for that - if you can't make it please let us know as soon as possible. Although some of the season has been a little damp, I couldn't have asked for more in terms of weather for the Captain's Away weekend and Captain's day which were both played in glorious sunshine. You will already had read in previous newsletters about the events and I just wanted to add my thanks to my Vice-Captain Ian Wharton and the Ladies Captain Audrey Kettle for the support over both weekends. I had the pleasure of playing in the PGA Pro-Captain Challenge at Dunham Forest with our Pro Adam Powell a few weeks ago. My highlight was a nett eagle on the 9th although it was a case of what might have been as Adam and I posted a respectable 7 Under Par 65 which was 3 shots back from the eventual winners, although we did take local bragging rights. I had a good catch up with Pryors Hayes captain John Oatley ahead of our team match in a few weeks who had played with Adrian Hill. Our game at Dunham also gave Adam a good chance to analyse my game and the lesson he gave me the evening before I was fortunate enough to win the September Medal has already made a big difference with me equalling my lowest ever round following a change of swing path. 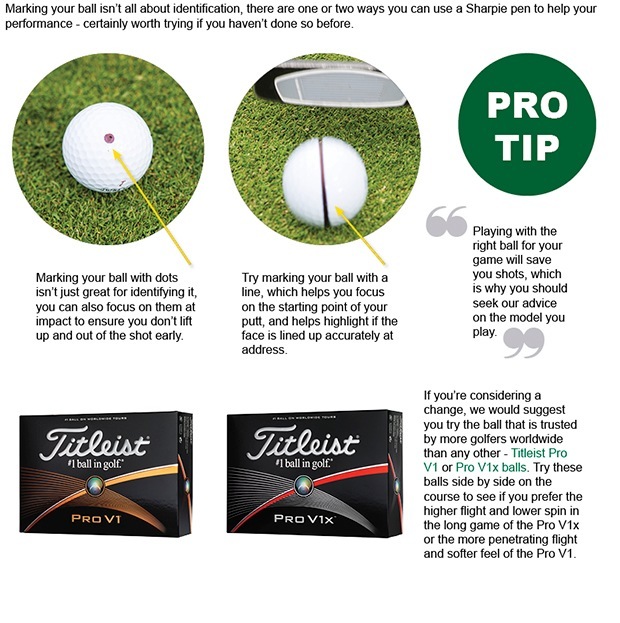 For those who have been putting off having a lesson I would try to book it as soon as possible to help you develop your game over the winter - it really is the only way you can improve. The 9 hole league is drawing to a close following a good season for us where we won 4 and drew 2 of our 7 matches remaining unbeaten in our four home ties. The emphasis this year was all about giving as many members as possible to represent Hartford and with so many of the team playing for the first time it was a fantastic to see us secure the runners up spot after a poor showing in 2015. The Make a Difference Day that I took part in at The Russett School made the front page of the Northwich Guardian at the start of August and the Fund Raising has now topped £700 which will help buy some much needed items for the new sensory room they are building. Keep your eyes peeled for more competitions like spot the ball coming soon. Our fitting days are always popular events and we are lucky enough to have another day coming up with TaylorMade on 22nd September from 2-6pm. 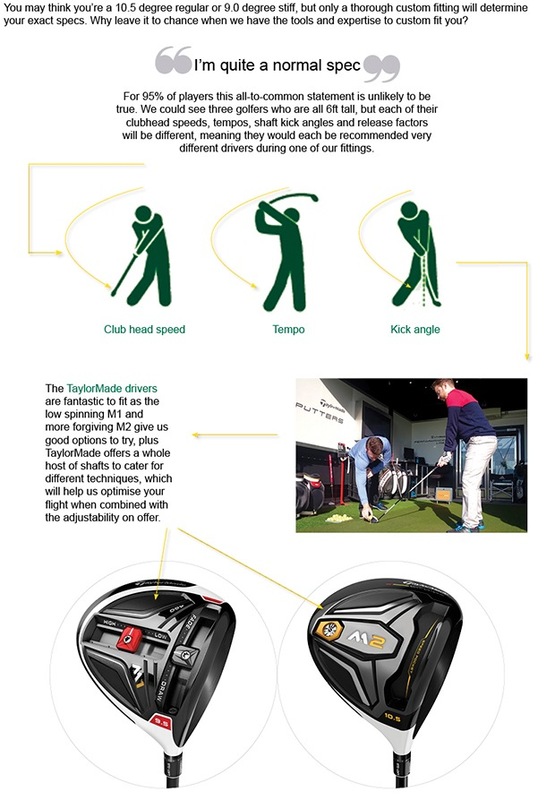 You can book a FREE half hour fitting slot with equipment expert Danny Morris on any of the current TaylorMade 2016 range and also remember we have a double trade in deal on at the moment where you receive double the value of your trade in club (up to a maximum of £150) against a new M1 or M2 driver, fairway or hybrid. Not only have we got the double trade in deal but if you order a set of PSi irons (minimum of 6 sticks) we will give you a FREE M1 hybrid with an RRP of £189, that is a seriously cash rich offer and one you would be crazy to miss out on! 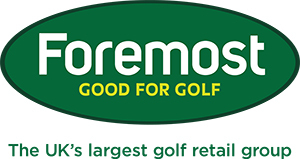 To celebrate the upcoming Ryder Cup we've introduced a great deal on green fees for visitors, you can now book a fourball for 18 holes of golf with 2 buggies and 4 meals from the lunch menu afterwards for the bargain price of £80 on weekdays and £90 at the weekend and the offer will be running until 31st October. To take advantage of this great deal you must book in advance as we have a limited number of buggies available, to book your special offer fourball deal you can contact me here. The seniors had a sunny day for their 18 hole Stableford last Tuesday, the scoring was good with a total of 12 players scoring 37 pints or better! Mike Eddison took first place with 44 points he just edged out Tony Ledson who scored 43 points including a birdie on the fifteenth hole. Pete Wildin was in third place with a score of 42 points, he had a birdie on hole thirteen. Tuesday was the fifth round of the seniors Summer League, again the weather was good and the winner was Paul Frost with 20 points – Paul had two birdies including one on the first hole. Captain Geoff Dodd had to settle second place after also returning 20 points but he lost on a card play-off, Chris Lee took third spot on 19 points. Well done to Alan Nevin and Alan Taylor who won the seniors pairs knockout Trophy – they beat Bill Powell and Pete Wildin in a close final by the margin of 2 and 1. Here's a video member Paul Green put together of the recent vice-captain's away day, have a watch it's very funny and well put together! Click here. Our PGA professional Adam Powell is running the next block of his popular golf schools, a 10 week course costs just £65 for 10 hours of tuition and there are four session times to choose from each week - 7pm or 8pm on Wednesdays and 10am or 12:30pm on Thursdays. In the package all aspects of the game will be covered from long game to short game and even course management, and places are strictly limited to 9 people per session so you will get plenty of help from Adam. If you're a beginner there are also Get into Golf sessions which are also £65 for 10 hours, these hour long classes are every Wednesday at 6pm starting on 14th September, we can even lend you some clubs if you need them! The sessions are very good value for money when you think of the expert help that you will receive and they always fill up fast so if you would like to book don't hesitate as you may miss out. Click here to secure your place now.